H.E. Prime Minister Dr. Haider Al-Abadi meets, at his residence in Munich, with the US Senate and House of Representatives delegation. His Excellency Prime Minister Dr. Haider Al-Abadi has met, at his residence in Munich, with the US Senate and House of Representatives delegation. His Excellency has Pointed out that Daesh still represents a danger and we have the ability to eliminate it completely, after we have defeated it by the thanks to the sacrifices of our people, calling for backing the stability and investment efforts in all provinces. 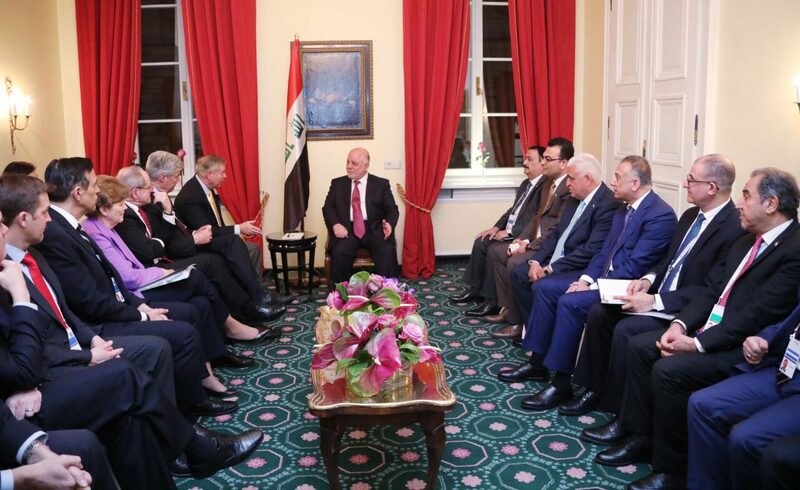 The U.S. delegation has commended the military, security achievements and Daesh's defeating, urging for cooperation against terrorism for achieving stability in Iraq and the region, expressing optimism that Iraq will overcome all the challenges facing it.